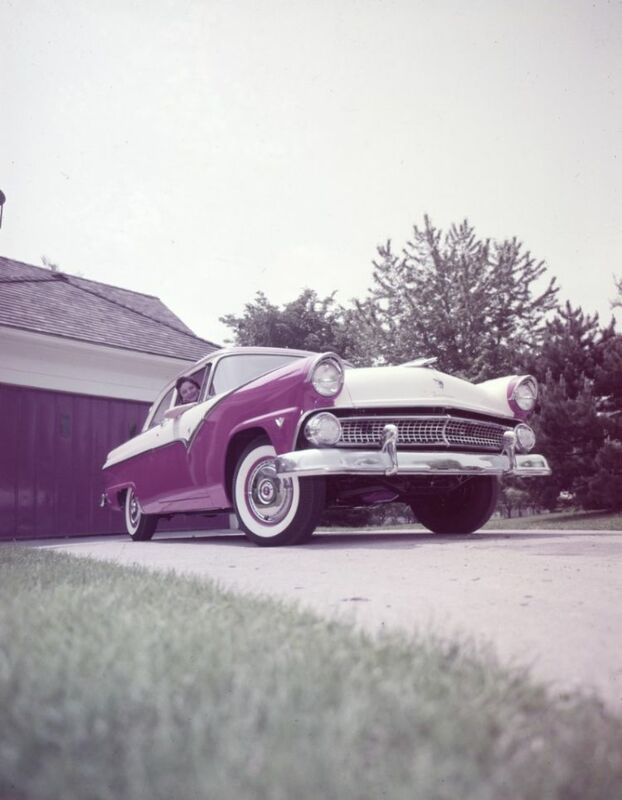 The Ford Fairlane was produced by the automaker between 1955 and 1970. It got its name from the name of Henry Ford’s estate in Dearborn, Michigan, which is called Fair Lane. Despite being a single model, throughout its production history, the Fairlane changed size and other features multiple times. It began as a full-sized car before becoming a mid-sized auto for the 1962 model year. The mid-sized version of the Fairlane sold in the Americas led to the creation of the Australian version in 1967, which was a large car throughout its history. The Australian model was produced from 1959 to 2007, but we’ll focus our review on the American version. 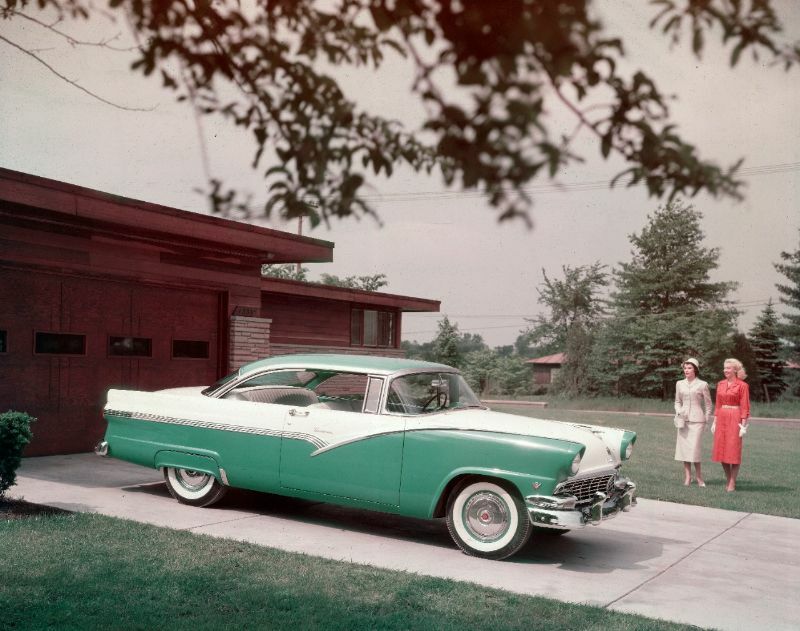 When the Ford Fairlane arrived in 1955, it replaced the Crestline, taking over the mantle of Ford’s full-size auto. Six body styles were available during the first generation, including a transparent plastic roof with tinting on the Crown Victoria Skyliner, the Victoria hardtop coupe, the Crown Victoria coupe with stainless steel, the convertible Sunliner, and a traditional sedan. 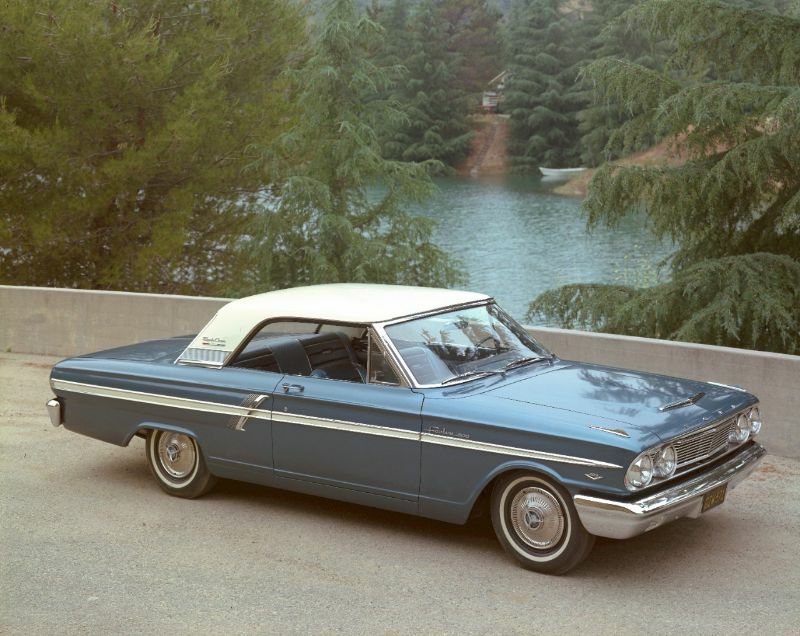 Regardless of body style, the first generation Fairlane always had a trademark stainless-steel side stripe. The first generation of the Fairlane let drivers choose from a 3.7-liter straight-6 engine or the Thunderbird V8, a 4.5-liter V8. There were new and more powerful V8s for the 1956 model year as well as a new Lifeguard safety package. There was also a station wagon available for a single year, 1956, during this generation. In 1957, the second generation of the Ford Fairlane arrived with a sleeker, lower, wider, and longer appearance and low tailfins. 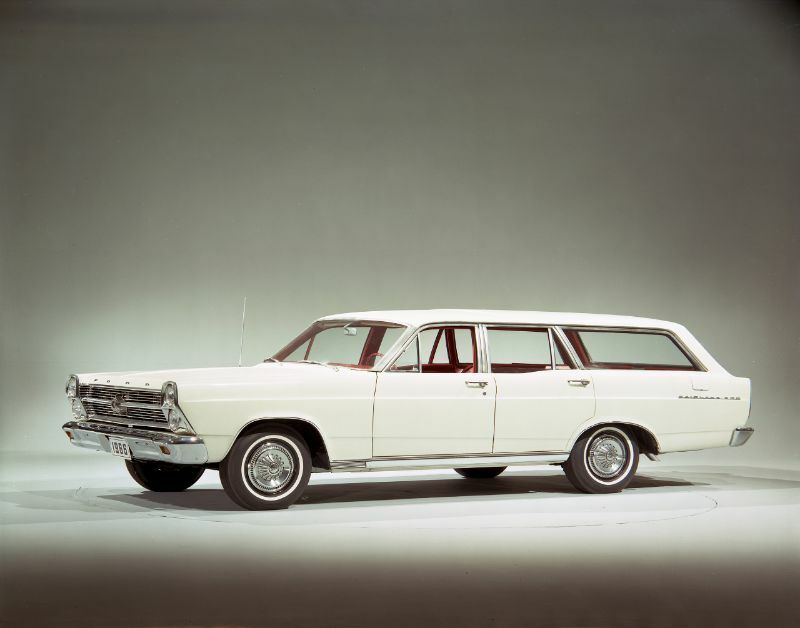 There was also a new top trim, the Fairlane 500, and the lower Custom line featured a shorter wheelbase. This year also saw a power retractable hardtop on the Fairlane 500 Skyliner. A facelift and new V8s arrived in 1958, with a top-of-the-line Galaxie series the next year. Continuing the trend of short generations, the third-generation Fairlane arrived in 1960 and would only last two years, with each year getting new styling. There was some reshuffling of trims, and most Fairlanes were sold in the base trim for use as fleet vehicles. The fourth generation arrived in 1962, lasting until 1965. For this generation, the Fairlane became an intermediate model filling in the gap between the full-sized Galaxie and compact Ford Falcon. It had a 115.5-inch wheelbase and was 197 inches long. It featured a unibody frame and had unique torque boxes that absorbed road shock. There was the choice of a 170 CID six or the lightweight Windsor V8. This generation also saw the debut of the Fairlane Sports Coupe and the Thunderbolt, the latter of which was a racing vehicle with heavy modifications. 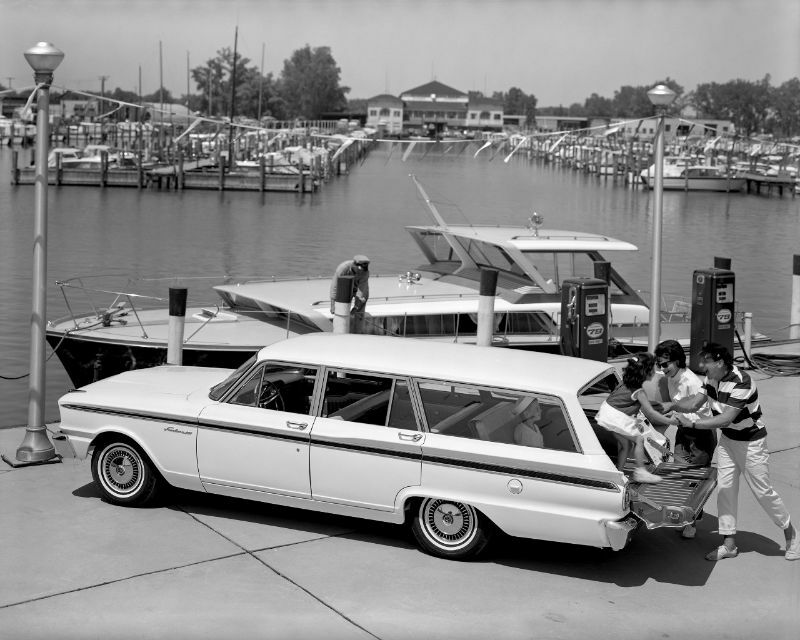 The 1966 Fairlane brought in the fifth generation with a revised appearance that matched the updated exterior of the full-size sedan in the Ford lineup. The sixth generation followed in 1968 with another redesign and growth in length and weight. The final seventh generation lasted just one year, 1970, with just the Fairlane 500 left in the lineup.